Welcome to our International Business Directory, home to 306 directory sites. Get listed in the directory today, or see more details on our Wiki. Serving the State of Colorado for 18 years, they present all their prospective clients with evidence of their excellent track record. From their enthusiastic voice on the phone to their closing figures issued two days prior to closing, they are driven to make your home loan experience as smooth as possible. They lend only in Colorado, and are a wholly owned subsidiary of Adams Bank and Trust, a division of ADBANC Inc. Since 1993, April Slizewski has built her reputation as one of Utah's top mortgage lenders on making the loan process as easy as possible for you. She takes a comfort approach to all of her clients, helping them understand their options regarding mortgages, and the process from beginning to end. She finds the best rates and programs out there, but also takes care to make sure that every detail is handled. She also keeps current on all financial markets, interest rates and trends. April can do loans in all 50 states. Fannie Mae is a shareholder-owned company with a public mission to expand affordable housing and bring global capital to local communities. For more than 70 years, they have been committed to a mission of ensuring that working families have access to mortgage credit to buy homes they can afford. It's chartered by Congress to keep money flowing to mortgage lenders, to strengthen the U.S. housing markets, and to support widespread home ownership. F&M Bank has provided financial services to individuals and businesses in California's Great Central Valley since 1916. 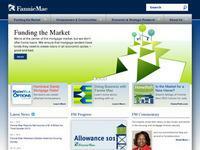 F&M Bank, Lodi, California, loans, mortgage, savings, checking, merchants, banking, Lodi CA.